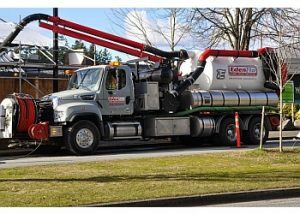 Once again, EdenFlo tops the chart for lower mainland Septic Service in 2019! If you are wondering about whether there is a difference in the quality for such a basic need as cleaning and servicing your septic tank. You should think again. EdenFlo has built their septic service based on two proven ingredients. Courteous, well trained staff, with quality modern reliable equipment. For over a decade, the new owners of EdenFlo Vacuum Truck service have followed this recipe. Customers in Aldergrove, Delta, Surrey, Langley, White Rock, Richmond and as far away as Lions Bay and Abbotsford have benefited from our service. Although septic service is not something that you normally comment on, a survey by ThreeBestRated.ca found EdenFlo customers were extremely happy with EdenFlo’s service. ThreeBestRated is a North American rating agency that provides genuine “non paid” ratings for different products and services in major urban centres. EdenFlo is proud to be named as a top three provider for 2019 and plans to continue to offer a great service to it’s customers. This entry was posted in septic service and tagged aldergrove septic tank cleaning, Best Septic Service Abbotsford, Best Septic Service Aldergrove, best septic service Delta, Best Septic Service Lion's Bay, Best Septic Service Richmond, Best Septic Service Vancouver, Best Septic Service White Rock, Best Septic Tank Service Langley, burnaby septic tank cleaning, delta septic tank cleaning, Pump out septic tank vancouver, surrey septic tank cleaning, white rock septic tank cleaning on March 19, 2019 by Edenflo.